Rooms From: $USD 232.96. Located on the beautiful north coast, this modern beach resort features a full-service spa and the largest pool in Jamaica. A variety of water sports is also offered. Rooms From: $USD 176.80. Boasting 5 swimming pools, water sport rentals, and views of the Caribbean Sea, this luxury oceanfront resort is 32 km from downtown Montego Bay. It features suites with free Wi-Fi. Rooms From: $USD 570.00. This beautiful 5-bedroom villa offers a private swimming pool, lush gardens and a furnished terrace with stunning views of the Caribbean Sea. 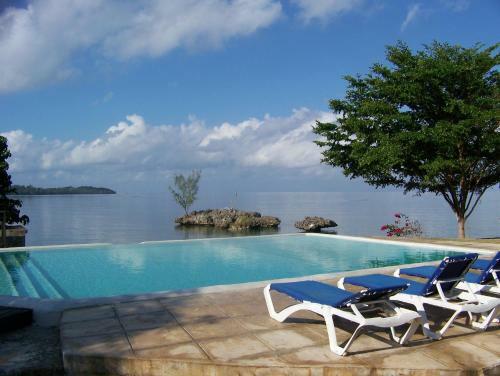 Luxury Villa On the Sea is 26 km from Montego Bay.